So in case you guys didn’t know I’m an English Literature student at University which means that I’m constantly having reading shoved down my throat. I have to read some of the worst things in the world and I have the pleasure of reading some of the best. Usually what my lecturers and seminar leaders have chosen aren’t the things I want to be reading. Summer holidays are the only time I get to read what I really want to (over Christmas and Easter I usually have to be doing reading for a coursework piece). I’ve read a fair few things already but just wanted to share with you what I read 2 weeks ago (yes I read really, really quickly). The Goldfinch by Donna Tartt: One of the most critically acclaimed books of the past decade. The novel follows the life of Theo Decker who struggles with crime and drugs following the death of his mother during a terrorist attack on a museum. Theo escapes with a famous painting named The Goldfich by artist Carel Fabritius. He is moved between his friends and his father’s and follows his teenage and adult life. It’s a fabulous story, albeit a very long one. I found it very easy to get myself lost in this story as it was exceptionally propelling. I found the last hundred pages or so a bit slow as the story was coming to a close and the ending perhaps slightly idealistic considering the bleak nature of the rest of the book. Nonetheless it was a good read. 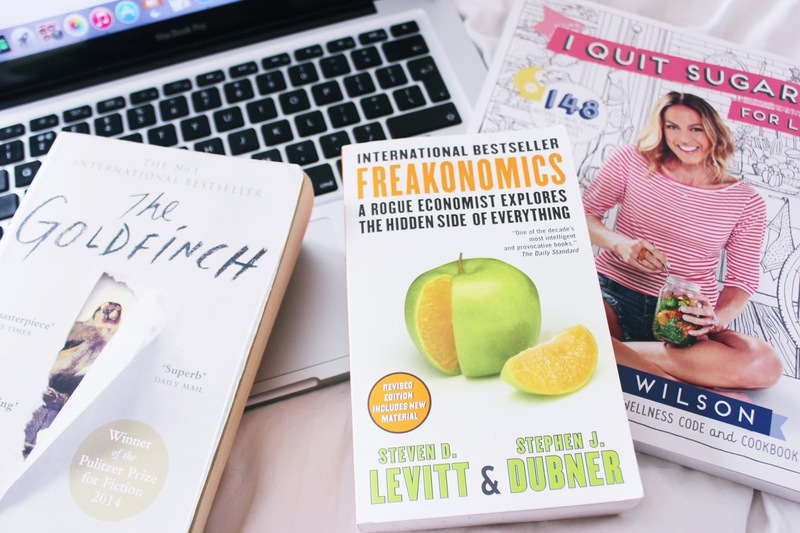 Freakonomics by Dubner and Levitt: So it’s a book of economic theory. But it’s certainly not what you’d expect from reading that title. The authors examine how theory relates to statistics form everyday life i.e does the name you give your child affect its outcome in life? I’ve recently watched Season 3 of OITNB and Freakonomics is referenced to in the show. The character mentions a chapter in Freakonomics called ‘Where Did All the Criminals Go?’ (US prisons) the chapter addresses the decline in prison population in the 90s and pegs it down to the US Supreme Court decision Roe v. Wade which legalised abortion. The chapter says that young, single mothers who were likely to be involved in crime or drug use started getting abortions instead of having a child who was just as likely to engage in criminal activity. Thus, 20 years after the US Roe v. Wade decision when such children would have been at their prime age for crime there were much fewer criminal children around because they had never been born. So when I say economic theory, I mean it but with a twist. Give it a go, I promise you’ll love it. There’s also Superfreakonomics (sequel) which is equally compelling. 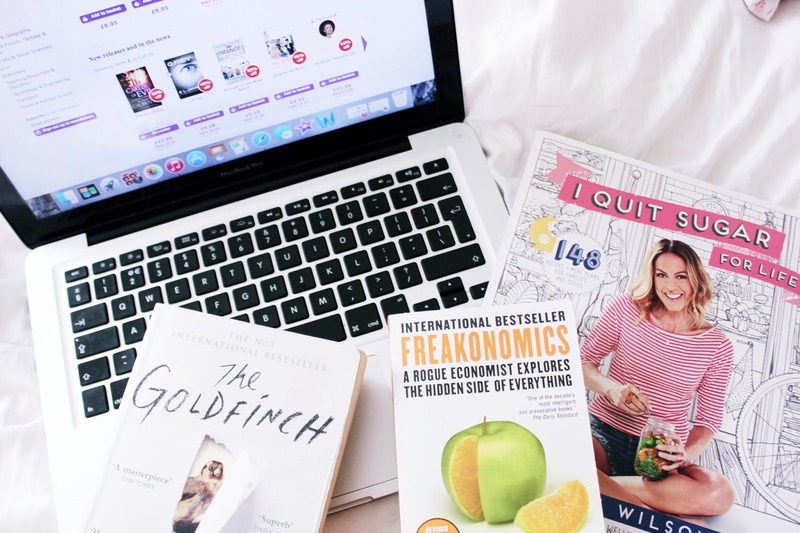 I Quit Sugar by Sarah Wilson: I was inspired to buy this book after watching a Netflix documentary called Fed Up which analyses how the food industry has used excessive amounts of sugar in millions of products which has led to a rise in obesity. Inspired to cut excessive amounts of sugar out of my diet I bought Wilson’s book. Note that she actually hasn’t ‘quit’ sugar. She does occasionally eat dark chocolate, fruit etc which all have sugar in them. She just sticks to under the maximum recommended allowance which is roughly 7 teaspoons. It sounds like a lot but can east that easily in a day without being aware of it (I used to work at Costa Coffee and when I worked there they would only serve Small and Medium sizes of certain coolers because the large cooler contained enough sugar to trigger serious health issues). This book is full of easy to read nutritional advice that show you just how bad sugar is for you. 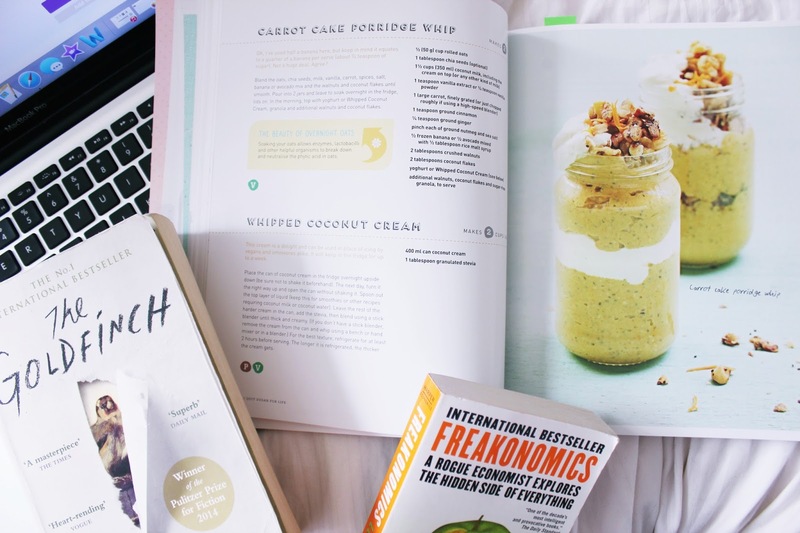 It’s also full of amazing recipes (I have tried a few and there are photos on my Instagram if you’re interested) and advice on cutting out excess sugar. There are also sweet tooth recipes too! If you’re looking at changing your lifestyle I’d recommend buying this book. The IQS is not a diet but a lifestyle choice. You can buy these books from TheBookDepository which ALWAYS has discounts on books. It’s where I buy all my University books as its miles cheaper than anywhere else, including Amazon. What have you guys been reading recently? What do you think of these three books? Freakanomics sounds so interesting. I love those kinds of books. The Goldfinch sounds pretty interesting! I'm currently looking for new books to read as I finally have a little free time to spend reading 😉 The last book I finished was "Unwind", a gorgeous distopian novel! I'd love to try I Quit Sugar, I'm just not sure I have the will power! I'm currently re reading Harry Potter now that I'm out of University for the summer!